DOUBLE BILL – 70s Music & Comedy Concert PLUS songs from new release! For a night of amazing entertainment to beat those January blues! January 20th, 2018 at 7pm. Bring family and friends. Get down to the sounds of the 70s and check out Kelita’s crazy characters. 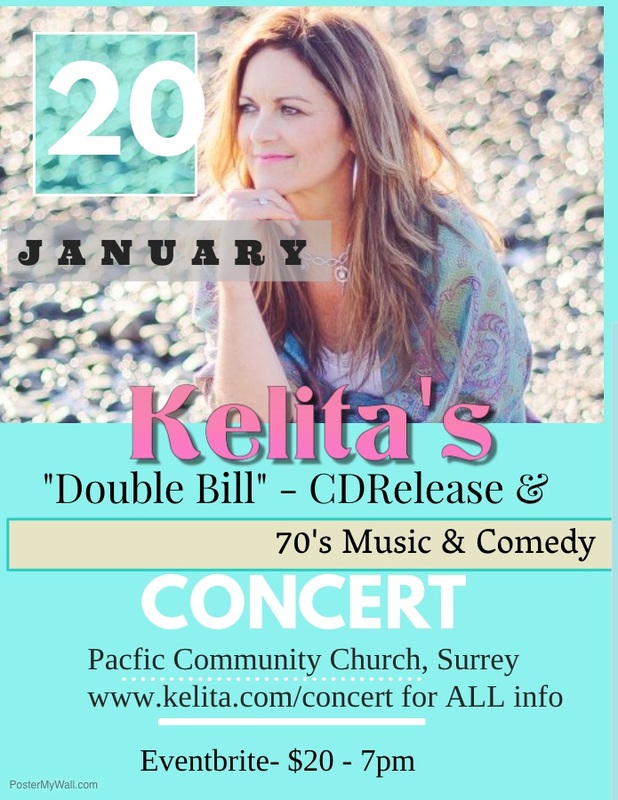 Then hear some great songs from Kelita’s new album “Everyone Has a Story“. We’ll have an amazing band of Vancouver’s finest musicians and…we’re filming it!